Those of you still owning joysticks and jackets with elbow patches on them, today is your lucky day, because Microsoft just brought the Flight Simulator series back from the dead. There's a catch, though; it's not called Flight Simulator anymore. 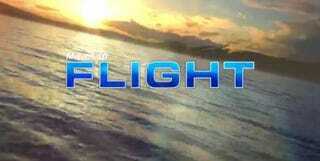 It's simply called Flight, and while details on the game are thin on the ground (and even thinner in the air! ), the Games for Windows Live logo at the end of this teaser trailer has me wondering whether it'll be like Microsoft's other big reveal today, Age of Empires Online, and take a series previously rooted in boxed copies into a friendlier, more accessible online space. Once we can scrounge up some more details on the game (its webiste hasn't launched alongside the trailer), we'll update you. UPDATE - OK, the website has launched, and...still no information.